Non-manufacturing costs are those costs that are not incurred to manufacture a product. Examples of such costs are salary of sales person and advertising expenses. Non-manufacturing costs are those costs that has not any concern with the manufacturing of the goods, Non-manufacturing costs includes marketing , sales and other promotional activities. 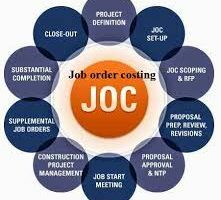 Job Order Costing – The Flow of Cost: Learning objective of this article: Understand the flow of costs in a job order costing system and prepare appropriate journal entries to record cost. Apply overhead cost to work in process using a predetermined overhead rate.